BG backs Hope for Hemophilia cause | BG Products, Inc.
WICHITA, Kan – BG Products, Inc., is proud to sponsor the 2018 Hope for Hemophilia SuperHero HOPE Run/Walk on September 8, 2018 in Derby, KS. As part of a series of BG supported events this summer, the HOPE Run/Walk generates awareness about the organization and its cause. Hope for Hemophilia connects families affected by hemophilia with financial, emotional and practical support nationwide. This event will benefit hemophilia sufferers, as well as their families, with medical care, housing, communal resources, food and other essentials. In addition to food, games, and entertainment for the entire family, teams will compete to win best costume, fastest race time and the most funds raised for the charity. The event will be held at Derby’s High Park – Darrell Zimmerman Family Shelter, 2801 James Street. The morning will kick off with a 5K race at 8:00 a.m. followed by a one mile walk at 9:00 a.m.
Support those suffering from hemophilia! 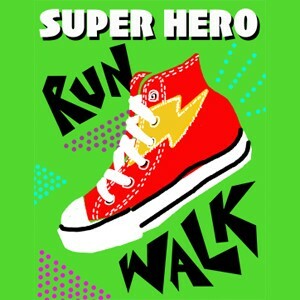 Click here to register for the SuperHero HOPE Run/Walk.